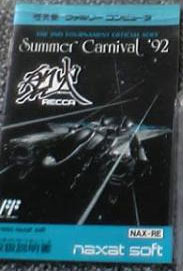 Recca: Summer Carnival ’92 was given out in limited quantities at, yes, Summer Carnival ’92 in Japan. 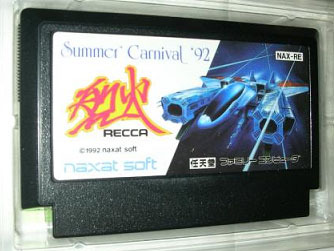 Summer Carnival was held by Nagzat in seven cities around Japan from 1991 to 1993. 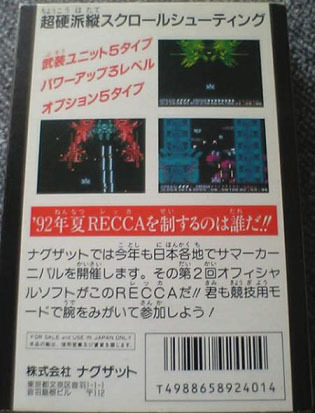 The second year of the carnival was the only year in which a Famicom game was used in competition. The commemorative software, available to anyone with the money to buy it, came with the cartridge, box, manual and other standard paperwork. No word on what winners received. 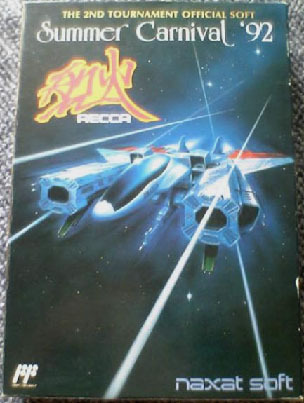 The front of the cartridge. The front of the manual.